Balancing safety, aesthetics, and performance, these innovative exterior luminaires also address issues of light pollution and trespass. Offering powerful digital light with excellent glare control in a compact, minimalist design, the system features exceptional levels of luminous flux from a virtually invisible, fully shielded light source. 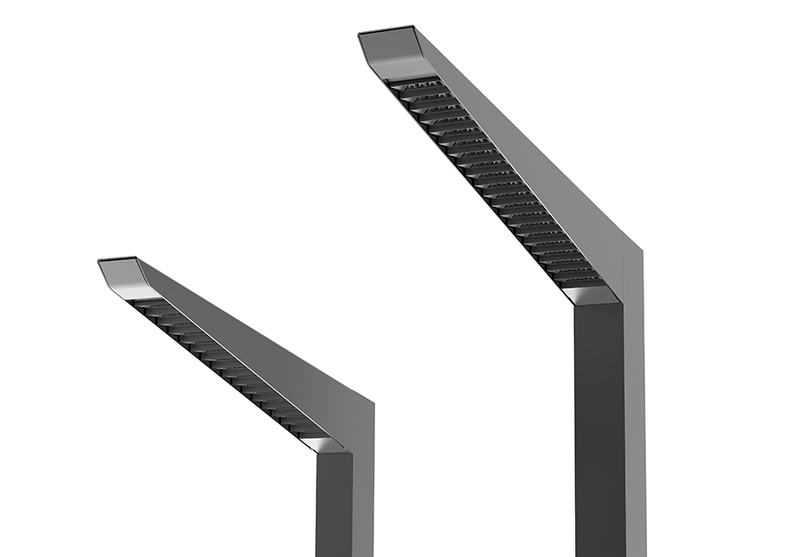 A fully shielded optical system eliminates glare and uplight; LEDs are hidden when the upward-angled luminaire is viewed from behind. Available in two sizes. 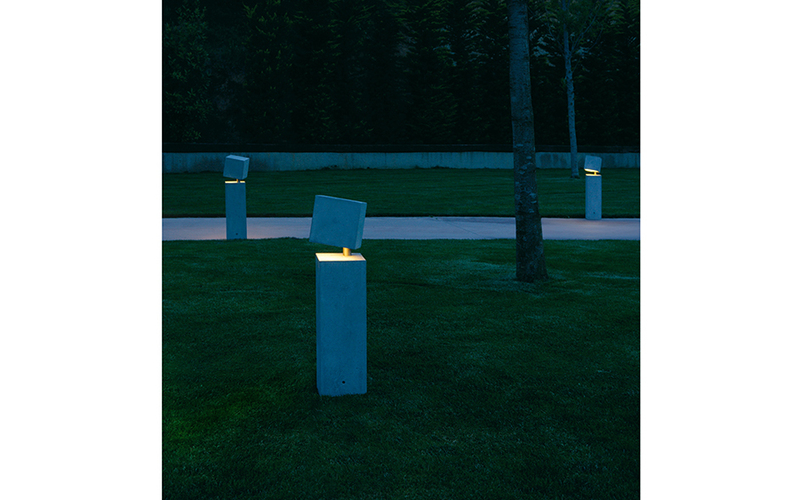 This indirect pedestrian lighting fixture has a striking yet understated design that’s suited a wide range of spaces. Made of aluminum construction with a durable powdercoat finish, the 195-inch-tall fixture is highly recyclable. 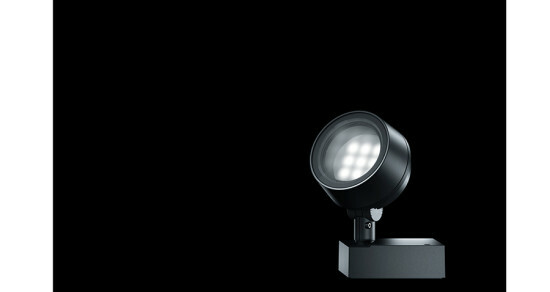 Lamped with LEDs, it is rated for use in wet locations with ETL, C-ETL, UL, and C-UL certifications. 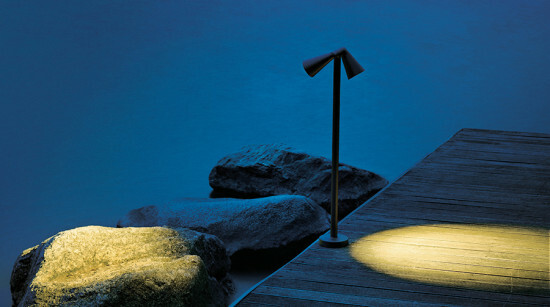 A 13W triple tube shines through the acrylic diffuser of this 32-inch tall resin-bodied bollard. Rated for wet locations, the fixture is available in three finishes. Designed by Xuclà & Alemany. 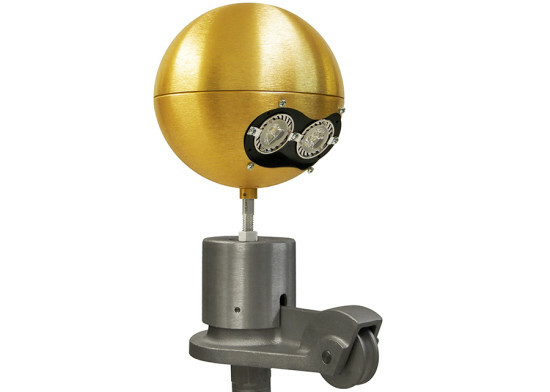 Fabricated of galvanized aluminum with a coppery finish, this fixture is also offered in a single-head configuration. Designed by Antonio Citterio with Toan Nguyen. 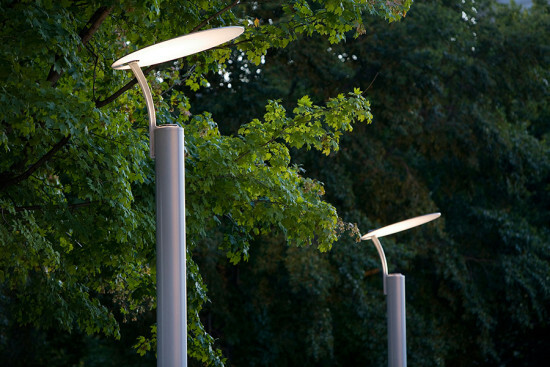 With its downward-focused LEDs, this pole-top fixture illuminates flags—not adjoining property or the night sky. A revolving truck allows light to track banners as they blow in the winds. Dark Skies compliant.